This case was designed for Mount Bethel Church as a portable production workstation based around a Behringer x32 audio console. 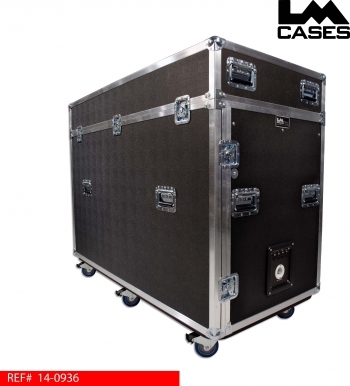 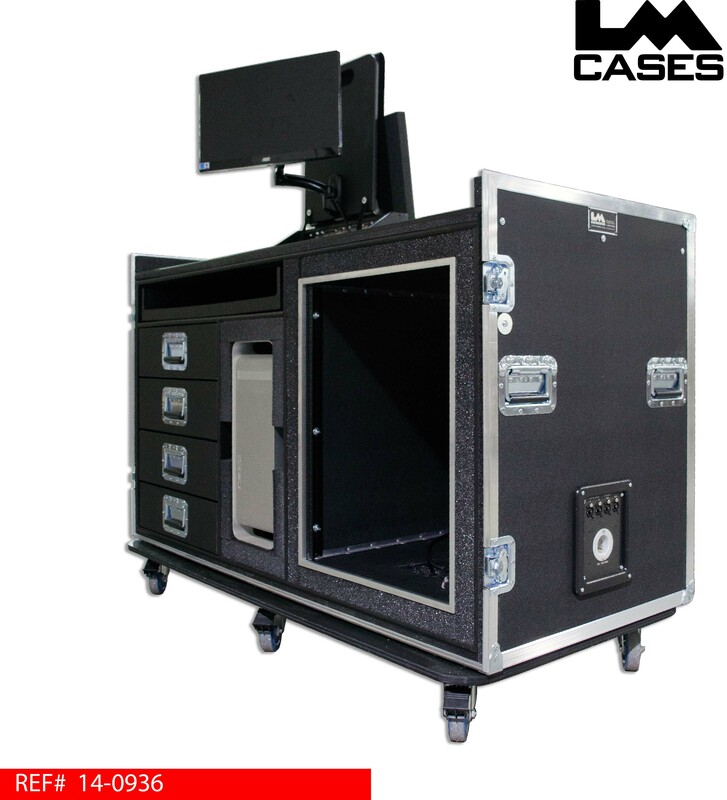 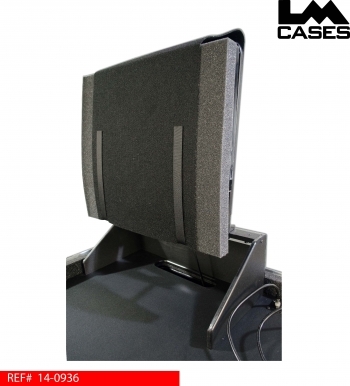 The case provides storage for the x32 console as well as rack mounted gear, a Apple Mac Pro computer tower and provides additional work space for a lighting or video console to the left of the x32. For added functionality the LM Cases Custom Integration department added a monitor mounted on a custom articulating mount and flexible task lights for the work surface. 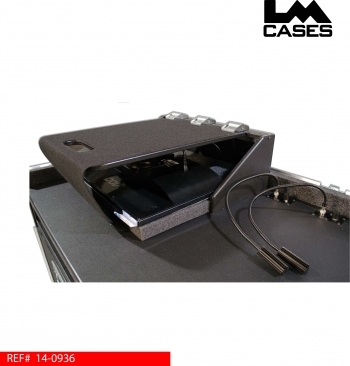 The work surface of the case is laminated with black Formica and holds the x32 as well as a large work surface for lighting and or video controllers. 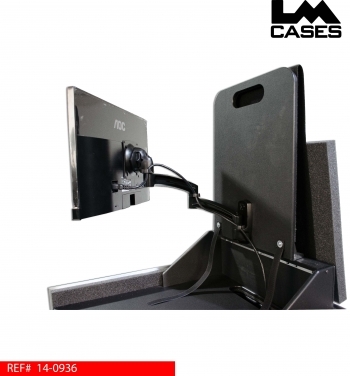 The LM CI department installed a 22" monitor on a custom position control mount which provides access to the Mac Pro computer mounted below the work surface. The mount allows the computer monitor to be tilted 180 degrees up and down as well as extended via a Chief articulating mount. 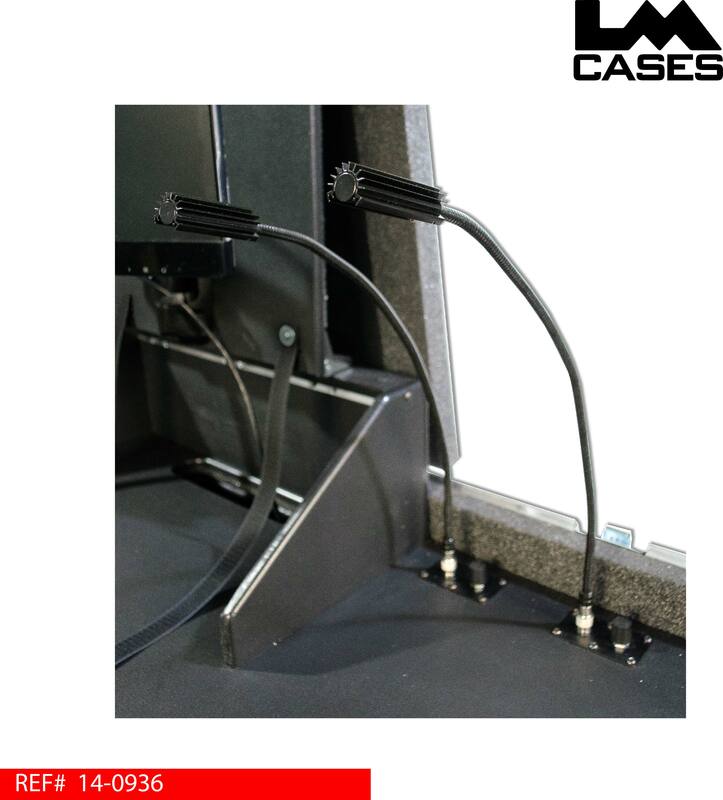 The Chief mount allows the monitor to be positioned in a variety of locations to ensure proper viewing in multiple configurations. 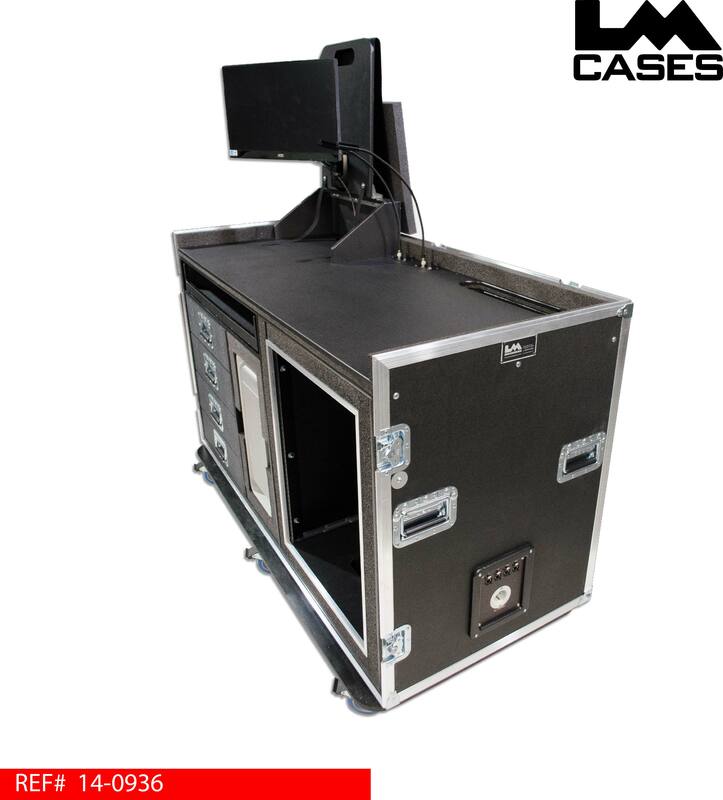 2 Littlelite task lights were installed to illuminate the work surface during shows. Below the work surface is a 14RU shock mounted rack for holding outboard gear. 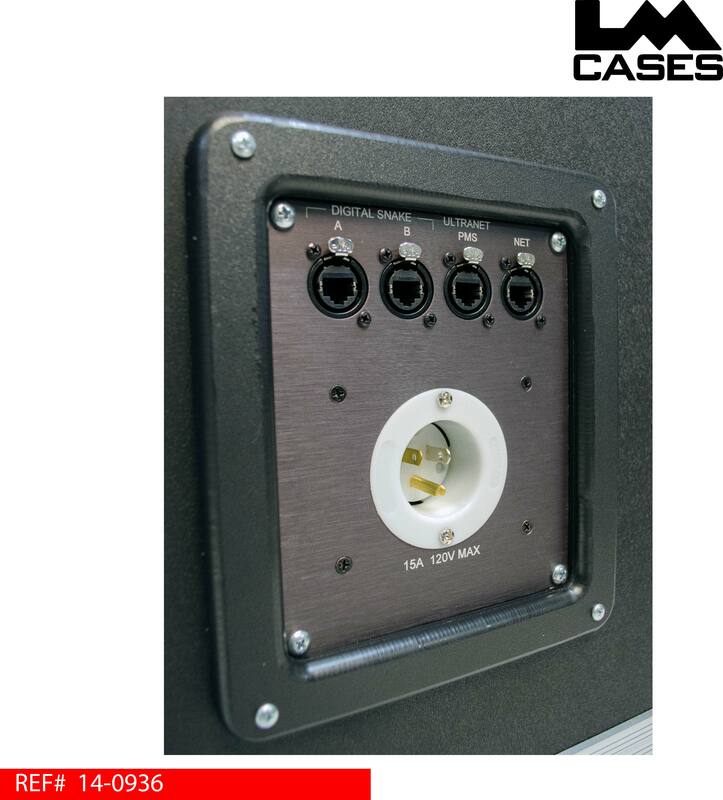 The rack features a rear trap door for quick access as well as a custom input/output panel and 1RU power distribution strip. 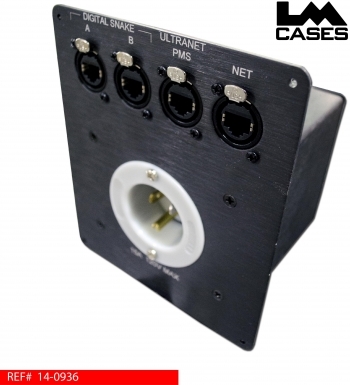 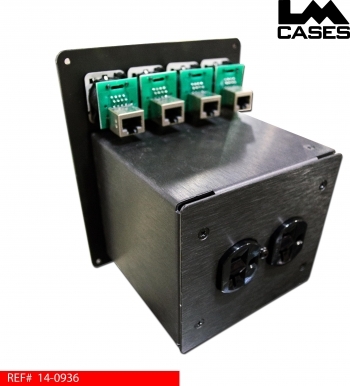 The IO panel features a 15amp Hubbell power inlet wired to a fully enclosed duplex outlet on the rear for powering the case. The panel also features 4 Neutrik Cat5 jacks for supplying network and digital snake signal to the console and router. 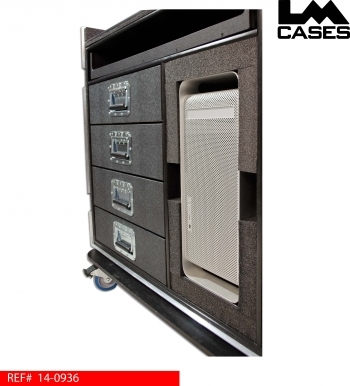 The Mac Pro computer is held in a 2" foam shock mounted compartment to the left of the rack. 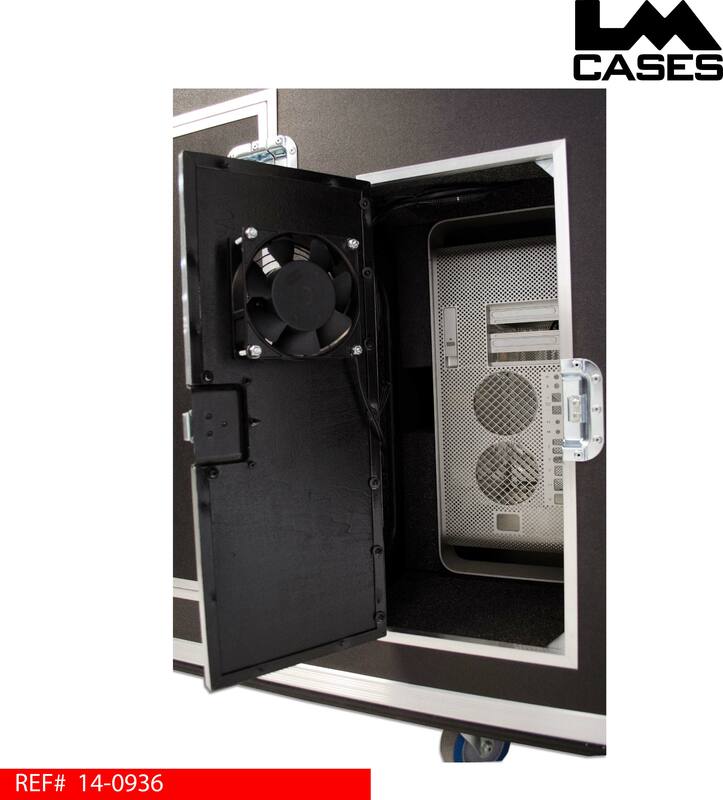 The computer compartment features a rear trap door for access as well as 2 integrated fans to keep the tower cool during operation. 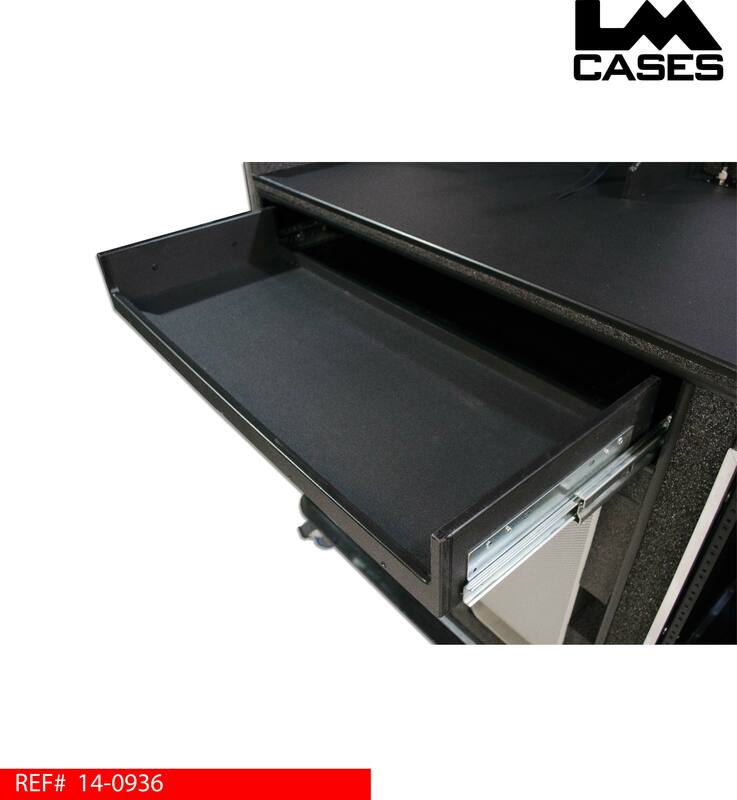 A large keyboard drawer is installed above the tower and drawer section for keyboard and mice. 4 storage drawers are mounted on the left side of the case, the drawers are made out of 1/2" baltic birch, mounted on HD Accuride drawer glides and finished with black texture coating. 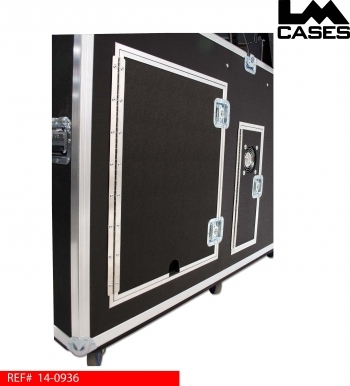 The exterior case is built out of 1/2" plywood and features deep recessed handles & 4" Colson casters. Special thanks to Mount Bethel Church!